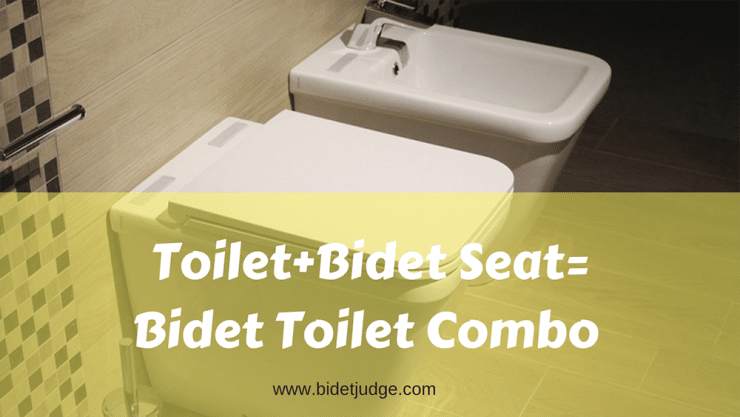 Do bidet toilet seats not impress you anymore? Looking to take it to the next level? Well, then we’d be pleased to introduce you to toilets with integrated bidets ( or you can call it bidet toilet combo). Who wants to go through the hassle of a separate washlet seat when you can have a Japanese style toilet experience? Why You Want A Toilet With Built In Bidet? You might wonder, what exactly this combo is! Well, the bidet toilet combo is quite different from the bidet toilet seat. The toilet seat is actually installed onto an existing toilet. All you have to do is remove your regular toilet seat and replace it with a bidet toilet seat. Simply connect it to a water line and you’re good to go. They are quite easy to install. The combo, on the other hand, is a one-piece toilet where the toilet is integrated with the bidet. You need only connect it with an electrical outlet and then call a plumber to install it to the plumbing line. The main advantage is that a toilet seat might not fit all toilets. These are universal. They can be used anywhere and by anyone. It is a new type of bidet. These combos come with a wide variety of features such as automatic flush, automatic lid close and open. This means you won’t have to touch the toilet at all. Night lights, heated seats, air dryers, and deodorizers are also quite common among these. Unlike traditional bidets, you don’t need to install a whole bidet unit separately. Instead, you can just install the toilet over the space of your regular toilet and get both the functions. These devices require no additional plumbing either. This is because most of these toilets are equipped with a water heating feature that heats water in the pipe. You don’t need a separate line of both. You don’t need to transfer yourself from the toilet to the bidet. You can have the same results with these combos. A compact design, durable build and a beautiful elegance all define the Toto G500 Washlet with Integrated Toilet. Not only is the toilet extremely functional, but it is also eco-friendly as well. It helps conserve water through its dual max flushing system. This feature allows you to flush either 1.28 gallons or 0.9 gallons. And let’s not forget the flush is automatic as well. What we loved about this washlet is how easy it is to clean. This is because it uses a cycle bowl cleanse. Plus, the SanaGloss Glaze ensures proper sanitation of the bowl as well. Apart from that, the integrated washlet features front and rear washing with warm water. You can even control the temperature and pressure of the water to suit according to your comfort. The heated seat has a temperature control as well, so you can easily use the toilet in the harshest of winters. Another feature worth noting is the remote control which allows you to operate the bidet with a single touch. The touchpad is illuminated so you can easily use it at night. It can store up to 2 different settings. The G500 is also equipped with auto open/close which means you won’t have to touch the seat! Moreover, it includes for your comfort an air deodorizer and the dryer. All in all, the G500 is an all-around best bidet toilet combo which is as functional as it is attractive! Temperature and pressure can be regulated. Includes a deodorizer and a dryer for comfort. Variety of features make it complicated to use and install. The water level is too low in the bowl. See also best TOTO toilet seat. A high-end toilet to match your high-end hygiene needs, the Toto Neorest 700H is the epitome of luxurious comfort. 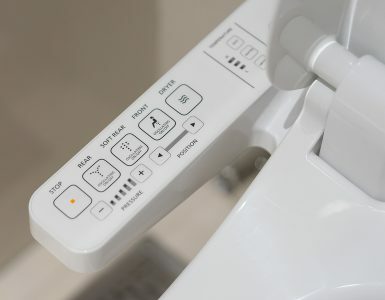 The toilet with built-in bidet is equipped with a double cyclone flushing system. It works by using two powerful nozzles that create a cyclonic rinsing action. This ultimately reduces the amount of solid waste buildup and will make it easier for you to clean. All this and only with about 1.28 gallons per flush. Also included is a hands-free automatic flush system which means you never have to touch anything but the remote. This is only reiterated by the fact that the lid automatically closes and opens. Did we mention that it comes with an efficient remote control as well? Using the remote, you can easily adjust the spray to make it pulsate or oscillate. A heated seat is also included where you can easily control the temperature as well as an air deodorizer to keep things fresh. The Neorest is the perfect combination of luxury and environmentally friendly. The Water Sense technology ensures that water is conserved at every flush. The toilet with integrated bidet is equipped with a nightlight as well. The toilet is built with everyone in mind. The universal height of the toilet ensures that folks of all ages and sizes can use it without any difficulty. The 700H is perfect for those looking for ultra-luxury that doesn’t come with a risk to the environment! Environmentally friendly and conserves water. Hands-free operation with the remote control. Easy to clean due to cyclonic rinsing action. Can be used by folks of all ages and sizes. Auto Lid Function is a bit flimsy. Toto is renowned for manufacturing best bidet toilet. Thus, you can expect the same reliability and durability from the G400. The G400 is a toilet with a built-in bidet that is equipped with the 3D tornado flush technology as well. This ensured reduced solid build-up as well as water conservation. The front and rear warm water cleanse perfectly. You can easily control the pressure and the temperature using five settings. A premist function is included that also aids in the reduction of solid waste. The wand, itself, has a self-cleaning function as well to keep it sparkling. 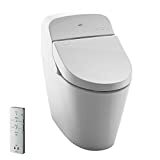 The toilet is equipped with an auto-open and close lid that can be operated through the remote. Furthermore, it embraces a heated seat that provides maximum comfort. This allows you to escape the initial shock on cold mornings and relax. The deodorizer cleans the air and helps eliminate unpleasant odors. Plus, the wand comes with three different spray functions namely: rear, rear soft and front. The dryer ensures better ease and comfort after each use. The skirted design is functional yet attractive at the same time. It makes it easier to clean the exterior surface of the bowl. The low profile ensures even the smallest members of the family can use it and promotes better bowel movements. So, the G400 is perfect for those that want a bunch of different features all in the same toilet combo. Very hygienic due to many cleaning functions. Eliminates odors and ensures comfortable seating. Ensures no solid build upon the inner surface of the bowl. Low profile with an attractive finish. The front wand spray tends to fall a little short. Dryer takes a lot of time to dry efficiently. If you thought Toto owned monopoly on the best bidet toilet combo, you were mistaken. Kohler is also a giant when it comes to manufacturing bathroom utilities. The K5401 is a compact and streamlined toilet with integrated bidet to allow for optimum hygiene and ultimate individual comfort. The toilet is perfect for folks of all sizes due to its elongated bowl. It adds much more room and comfort. For added comfort, a heated seat is included as well where you can easily adjust the temperature to your liking. You can even set the temperature of the wand according to your preferences. If you’re worried about a sudden bout of cold water, then perhaps the tankless design will put your mind at ease. For more efficient water conservation, you can flush at either 0.8 or 1.28 gallons per flush. To ensure superior hygiene, the wand is equipped with a UV light and uses electrolyzed water to cleanse itself. The Kohler is the epitome of luxury with various features such as deodorizer, air drying system and a nightlight. To help you feel squeaky clean, the seat as well as the cover automatically open up and close down, without you having to touch it at all. The touchscreen remote control ensures that you can easily adjust the setting according to your preference. Apart from the obvious learning curve, the Kohler is the perfect blend of comfort and functionality. Can be adjusted for individual comfort. Includes partial and full flush technology. The wand can easily clean itself. Tankless water design for an endless supply of warm water. You don’t have to touch the seat or the lid. Deodorizer is not as efficient. The Bio bidet’s fully integrated Bidet toilet System is an all-in-one package for all your comfort needs. The toilet with integrated bidet is quite unique as it understands the different needs of men and women. It features a dual nozzle, each catered to the different gender to allow for better hygiene. Folks who are not accustomed to a bidet might cringe away because they think the spray is high pressured. Well, the bio bidet features a pulsating technology whereby air bubbles are mixed with the jet stream of water to deliver a gentle yet effective wash.
Let’s not forget how eco-friendly the model is. It helps in saving water and reduces the amount of toilet paper in use. Furthermore, all functions of the bidet toilet combo are easily controlled by a remote control. The backlit remote ensures you can use it during the dark as well. Luxury features such as Deodorizer, warm air dry as well as a heated seat are included. All for these ensure a comfortable yet hygienic experience every time you visit the bathroom. The automatic flush is very helpful as well as you basically don’t have to do anything. Just sit back and relax. What’s more is that it can be installed easily using a few tools and the manual. You don’t need to necessarily hire a plumber for this. All in all, the low profile as well as the contemporary finish ensures this will be the best bidet toilet combo! Various luxury features for the ultimate comfort. Quick release function makes it easy to clean. Highly durable and sturdy build. contemporary finish yet modern design. Manual flush requires a large amount of force. The wand cannot clean itself too efficiently. All in all, any of our best bidet toilet combos will serve you perfectly in the bathroom. Our top 6 choices combine functionality, attractiveness, hygiene, comfort and luxury, all in a single piece of bathroom utility. The bidet on these is equipped with multiple spray patterns. This allows for extended use and applications! Moreover, most functions and features could be easily adjusted according to your needs. If you also want to check some luxury bidet toilet seats, check here. 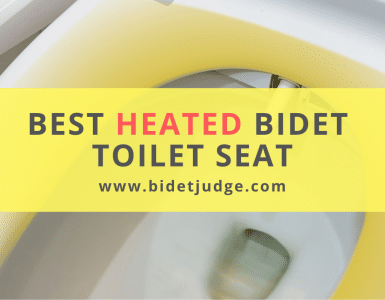 So, whether it’s comfort you desire on the throne in the cold early mornings or hygiene in all aspects of life, you can never go wrong with a toilet with a built-in bidet.